Such a pretty card Pat, great layout, lovely papers and colours. Hope the weather is better where you are than it is here today...wet and miserable- yuck! 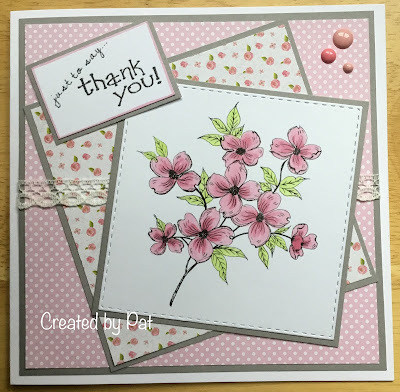 This a lovely Pat, such a pretty thank you card. Gorgeous card, Pat - the flower image is lovely and coloured beautifully. Your pink and grey combo is really pretty too. How nice to visit Christmas markets - we don't have anything like that near us. Have a good evening. 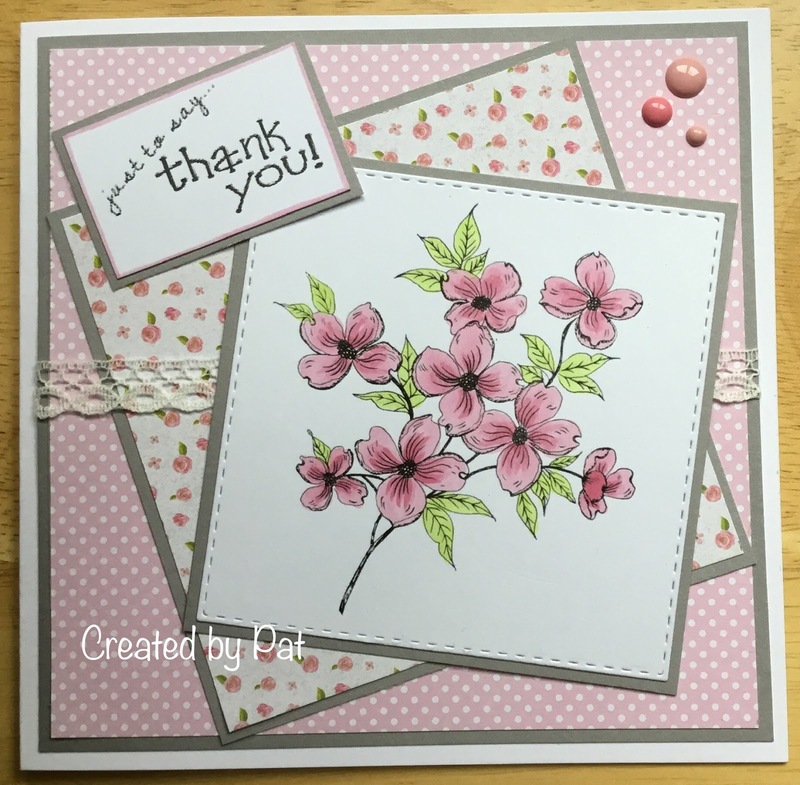 A really pretty card Pat! Hasn't the weather been horrible? Needed this cheery card to remind me of drier days! Absolutely gorgeous card!Thanks for sharing.